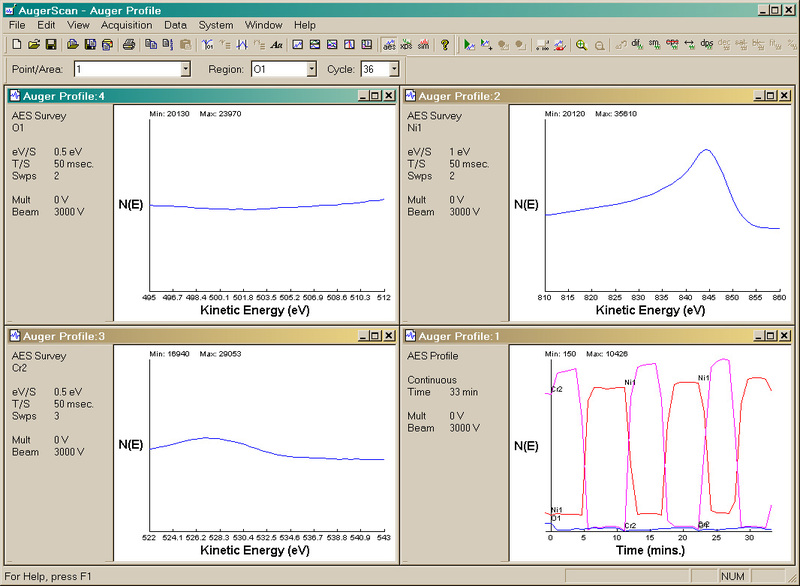 AugerScan provides PC control and analysis for many older PHI AES, XPS, and SIMS systems, while adding many features beyond that provided by the original system software. It's use by leading labs and uniersities around the world. 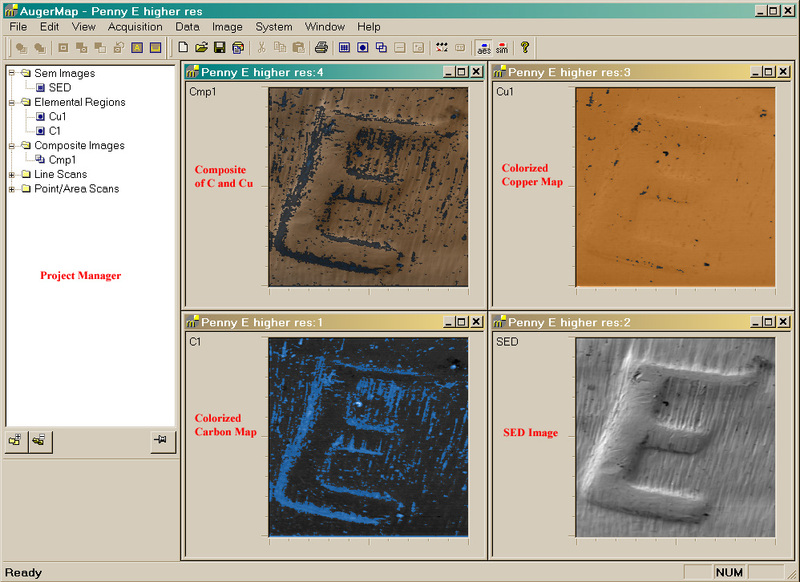 AugerMap provides PC control and imaging for many older PHI AES systems, while adding many features beyond that provided by the original system software. It's use by leading labs and uniersities around the world. CasaXPS now provides not only state-of-the-art data processing not only for for XPS spectra, but also Auger and SIMS data as well. Transferring data from RBD's AugerScan to CasaXPS is as easy as copying and pasting. CasaXPS can also import data from a variety of other formats, making it an ideal choice for laboratories with several surface analysis instruments from different manufacturers. Using a single program for data analysis will improve your work-flow and reduce training time. For Windows Vista through 8.1 please download the update for your version of windows here (scroll down to "Resolution"). For Windows 10, we've provided HTML versions of the original Help documentation for both AugerScan and AugerMap. Download and unzip to a convenient folder, and open "index.html" to view in your browser.